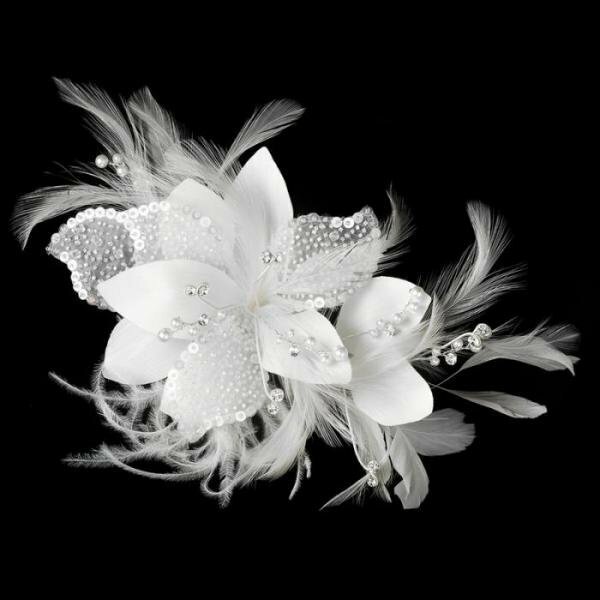 This stunning white feather fascinator is the perfect accessory to your modern or vintage wedding hairstyle. 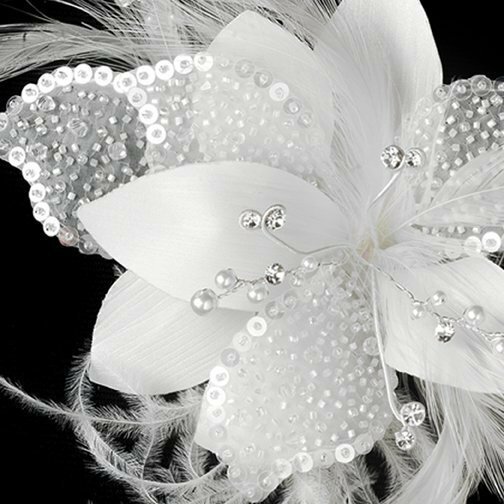 A spray of white feathers outline fabric and beaded flower petals. Rhinestones, sequins, and faux pearls add a touch of glamour to the piece. The ornament measures 18 cm wide and 13 cm tall, and rests on a 8 cm comb.